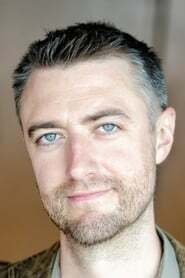 Sean Gunn (born May 22, 1974) is an American actor, most famous for his role as Kirk Gleason on the television show Gilmore Girls (2000–2007) on The WB (later The CW). Description above from the Wikipedia article Sean Gunn, licensed under CC-BY-SA, full list of contributors on Wikipedia. as "Kraglin / On-Set Rocket"
as "Kraglin / On-Set Rocket / On-Set Adolescent Groot"
as "Kraglin / On Set Rocket"